"Development of a Multiplex PCR for the assessment of ancient DNA preservation levels in prehistoric Human Remains"
"Whole genome sequencing analysis of the Tyrolean Iceman, population genetic analysis of prehistoric groups from the Neolithic to the Bronze Age in Europe"
Keller A, Graefen A, Ball M, Matzas M, Boisguerin V, Maixner F, Leidinger P, Backes C, Khairat R, Forster M, Stade B, Franke A, Mayer J, Spangler J, McLaughlin S, Shah M, Lee C, Harkins TT, Sartori A, Moreno-Estrada A, Henn B, Sikora M, Semino O, Chiaroni J, Rootsi S, Myres NM, Cabrera VM, Underhill PA, Bustamante CD, Vigl EE, Samadelli M, Cipollini G, Haas J, Katus H, O'Connor BD, Carlson MR, Meder B, Blin N, Meese E, Pusch CM, Zink A. (2012) New insights into the Tyrolean Iceman's origin and phenotype as inferred by whole-genome sequencing. Nature Communications 2012 Feb 28;3:698. Zink A. R., Graefen A., Oeggl K., Dickson J., Leitner W., Kaufmann G., Fleckinger A., Gostner P., Egarter Vigl E. (2011) The Iceman is not a burial: reply to Vanzetti et al. (2011). Antiquity 85. Graefen A., Piombino-Mascali D., Gostner P., Zink A. R. (2009) Perspectives of „palaeo-oncology“, illustrated by a rare case of metastasing carcinoma from Northern Italy. Bulletin de la Société Suisse d'Anthropologie 14(1-2), 23. Graefen A., Unterländer M., Parzinger H., Burger J., (2009) Multiplex-PCR as a tool for assessing ancient DNA preservation levels in human remains prior to next-generation sequencing. Bulletin de la Société Suisse d'Anthropologie 14(1-2), 81. Graefen A., Alt K.W. (2007) Mumifizierung heute - Eine ganz normale Angelegenheit. In: Wieczorek A., Rosendahl W. and Tellenbach M. (Eds.) Mumien - Der Traum vom ewigen Leben, Mainz 2007, 181-188. Accompanying volume to the exhibition „Mummies - The Dream of Everlasting Life“, Reiss-Engelhorn Museum Mannheim, 30.9.2007 – 24.3.2008. Graefen A. (2006) Römische Pferdezucht und Pferdenutzung in Rheinhessen. In: Haupt P. & Jung P. (Hrsg. ), Alzey und Umgebung in Römischer Zeit. Archäologische und historische Beiträge. Alzey - Geschichte der Stadt Band 3 (Alzey 2006) 25-30. Angela Graefen, Andreas Keller, Markus Ball, Mark Matzas, Valesca Boisguerin, Frank Maixner, Petra Leidinger, Andre Franke, Jens Mayer, Rabab Khairat, Jessica Spangler, Stephen McLaughlin, Minita Shah, Clarence Lee, Timothy Harkins,Alexander Sartori, Jan Haas, Hugo Katus, Benjamin Meder, Nikolaus Blin, Eckart Meese, Carsten Pusch, Marco Samadelli, Eduard Egarter Vigl, and Albert Zink (2011) Next Generation Sequencing Technology in Mummy Studies: The Genome of the Tyrolean Iceman. Presented by A. Graefen. 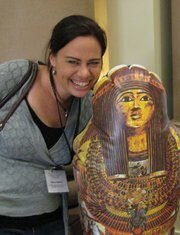 7th World Congress on Mummy Studies, San Diego, 12.-16. June 2011. Eduard Egarter Vigl, Angela Graefen, Marco Samadelli, Frank Maixner, Astrid Grumer and Albert Zink, Experimental Human Ice Mummification for Conservation and Taphonomic Studies (2011). Presented by A. Graefen. 7th World Congress on Mummy Studies, San Diego, 12.-16. June 2011. Albert Zink, Angela Graefen, Christian Mitterer and Frank Maixner, Analysis of Ancient Mummy DNA – Problems and Perspectives (2011). Presented by A. R. Zink. 7th World Congress on Mummy Studies, San Diego, 12.-16. June 2011. Frank Maixner, Angela Graefen, Paul Gostner, Dario Piombino-Mascali, Marco Samadelli and Albert Zink, Microscopic and Molecular de novo Analysis of the Iceman’s Stomach Content (2011). F. Maixner. 7th World Congress on Mummy Studies, San Diego, 12.-16. June 2011. Gostner P., Graefen A., Perntner P., Bonatti G., Zink A. R., (2010) Stones from the Stone Age: Cholelithiasis in the Tyrolean Iceman. Presenter A. Graefen. 18th European Meeting of the Paleopathology Association, Vienna, Austria, 23.-26. August 2010. Graefen A., Unterländer M., Parzinger H., Burger J., (2009) Multiplex-PCR as a tool for assessing ancient DNA preservation levels in human remains prior to next-generation sequencing. 8th International Congress of the German Society for Anthropology, Munich, 14.-18. September 2009. Graefen A., Piombino-Mascali D., Gostner P., Zink A. R. (2009) Perspectives of „palaeo-oncology“, illustrated by a rare case of metastasing carcinoma from Northern Italy. 8th International Congress of the German Society for Anthropology, Munich, 14.-18. September 2009. Graefen A. (2009) Mummification Techniques in Iron Age Central Asia. Poster, 1st Bolzano Mummy Congress: Mummies and Life Sciences, Bolzano, Italy, 19th-21th March 2009. Graefen A., Piombino-Mascali D., Gostner P., Zink A. R. (2008) A rare case of metastasing carcinoma from an early medieval skeleton from Northern Italy. Paper, International Congress on Biomedical Sciences in Archaeology, Heraklion, Crete, 24.-26. September 2008. Graefen A., Schiess R., Kuhn G., Hofmann M. I., Rühli F. J. (2008) Morphological characteristics of confirmed cases of Paget’s disease (osteitis deformans) in the Swiss pathological reference series “Galler collection (part 2)”. Poster, 17th European Meeting of the Paleopathology Association, Copenhagen, Denmark, 25th-27th August 2008. Graefen A., Burger J. 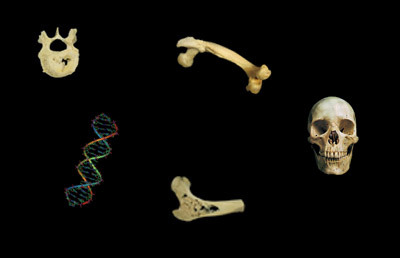 (2008) Bioethical and conservational aspects in ancient DNA studies. Paper, 6th World Archaeological Congress, Dublin, Ireland, 29th June - 4th July 2008. Schiess R., Graefen A., Kuhn G., Hofmann M. I., Rühli F. J. (2008) The pathology reference series "Galler collection" (part 2): Paleopathological significance and digital recording. Paper (presenter F. J. Rühli), 77th annual meeting of the American Association of Physical Anthropologists, Columbus, Ohio, USA, 9th-12th April 2008. Graefen A., Wuttke M. (2008) Modern Mummies for Modern Museums - Treading the Fine Line between Education and Exhibitionism. Poster, Symposium "Mumien und Museum", Reiss-Engelhorn-Museum Mannheim, Germany, 7.-9- February 2008.